When you write an essay, article, or non-fiction book, you normally have a specific idea you want to get across (very similar to the theme or thesis you have when you write an essay). Many writers have an idea they want to get across. However, unless you’re writing a teaching article with three easy points, starting with an idea you want to sell the reader can be very tricky, even for the best writers. For example, journalists have normally been told to write the facts, not inject their opinions in the story. (Although, to be honest, these days, I find that journalism is getting murkier and murkier as people seem to be choosing to write from their personal perspective more and more.) But the best journalists still try to be objective and just give the facts and let the reader draw his or her own conclusion. Beginning with a specific idea you want to share though fiction, or even drama or poetry, is very tricky. Some people would say you shouldn’t even try. The problem isn’t that you can’t do it. The problem is that when you begin with a specific message, your writing is likely to feel forced, your characters two-dimensional, and your ending or conclusion trite. The best fiction comes from characters who come to life as you write them. And then when you read what you’ve written, you discover the message. Plays and screenplays are the same. Poetry is best when it comes straight from the heart. Now, I’m not saying you can’t ever write fiction or plays or poetry with a theme in mind. Just that if you do, you have to be very, very careful not to force the theme. Years ago, after a couple of years as a high school English teacher, I married and moved to a new place. Unable to get a job teaching full-time, I did some substitute teaching, and continued working with teens in youth groups, camps, etc. One of my biggest frustrations was that so many kids saw themselves in a negative way, as in “I’m not smart enough, not athletic enough, not good-looking or pretty enough, don’t have a car/computer/DVD player,” and so on. The trouble was, most of the kids I knew thought this way—even the ones who outwardly seemed to have it made. I was taking a writing correspondence course and I was supposed to be writing a short story of some sort. But instead, a whole book began taking shape in my head. It would be about this really ordinary teenage boy, Glen, who saw himself as nothing special, and this other teenage boy, Charlie, who had everything every teenager could want—the looks, the girls, the car, the athletic ability, the brain—the works! I would have the ordinary guy tell the story from his point of view, and of course the whole novel would hinge on the premise that what’s really important isn’t any of those surface things you have little control over, but who you are inside. But from there, instead of starting to write the story, I developed the setting and the characters. I’d been raised in a small prairie town, so I set it in a similar small town. I added Nicole, the daughter of a pastor and the prettiest girl in town. I added Glen’s best friend, Luke, who’d been the “star” until Charlie arrives. Somehow Marta showed up. She was an annoying girl who seemed a match for Charlie. And Nicole’s best friend, Zoey, just appeared when Nicole first came into the room. Then I worked on getting to know those characters as well as I knew myself. I knew that the story had to come out of the characters, and if we ended up with a different message that the one I started with, that was okay. What was most important was that the characters and the plot seemed “real” to the teens who read the book. As I wrote the book, there were many surprises along the way, for me as well as for the readers. It did end up being a coming-of-age novel about a very ordinary, average teenage boy who learns that what’s important isn’t any of those surface things you have little control over, but who you are inside, but it also ended up being an upbeat, fun story, and there were a few other messages as well. The reader seems what is happening through Glen’s eyes, and learns along with him. 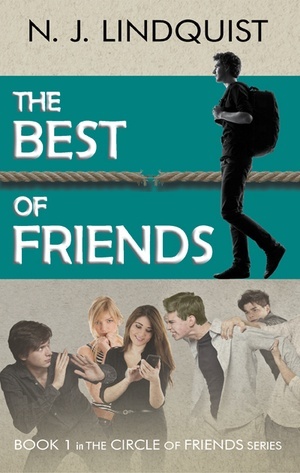 You can read the first chapter of the book, The Best of Friends. 1.Think about how you’ve tended to learn, and what makes you apply what you’ve learned to your life. Are there some types of writing that annoy you, and other types that draw you in? 2. Think about some people or groups of people you would like to say something to, and then write down 10 things you would like to say to some or all of them. Don’t worry about the form of writing you would use; just think about what you want to say. 3. Then brainstorm ways you could present each of your messages in at least 5 ways that could work with your target audience. Or would your target audience require something more subtle? (e.g. a humorous article about how you discovered the need to conserve energy, a short story about a character who decides to go green and runs into problems, a humorous poem about garbage, a murder mystery with an environmentalist who is murdered, etc., etc. 4. Choose two different ways to write something that starts with one of your messages, and begin writing them both. Analyze what you learn.